The man accused of setting a Southern California forest fire appeared in a jailhouse courtroom Friday and made several outbursts, claiming that his life was being threatened. 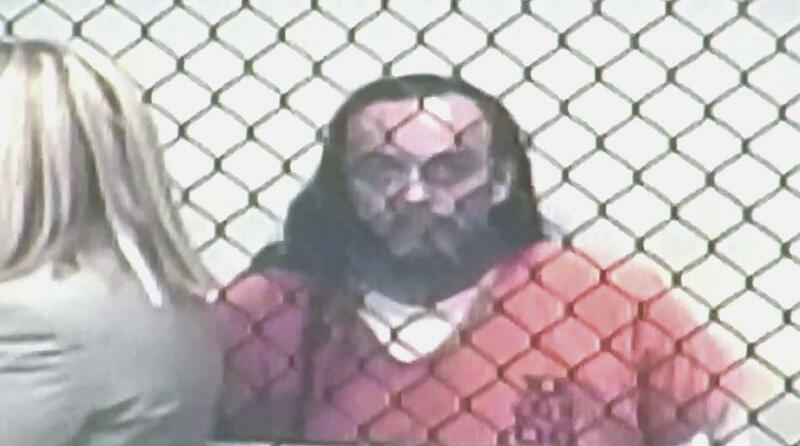 Forrest Gordon Clark, 51, is charged with arson and other crimes in connection with the Holy Fire. A court commissioner postponed Clark's arraignment until Aug. 17. When the commissioner ordered bail to remain at $1 million, Clark shouted that he could easily afford it. "I can handle a million right now easily," said Clark, clothed in a jail-issued orange jumpsuit. Clark was arrested Tuesday night in connection with the fire, which is burning into its fourth day and has burned more than 18,000 acres. Of the 14 cabins in Holy Jim Canyon where Clark lives, his was the only one to remain standing. Clark has been charged with one felony count each of aggravated arson damaging at least five inhabited structures, arson of inhabited property, arson of forest and criminal threats and two misdemeanor counts of resisting arrest. According to CBS Los Angeles, he initially refused to face the judge, and attorneys told the judge that Clark was afraid to show his face for fear of "retaliation." At one point Clark covered his face with his long hair and later he stared directly at a camera providing a feed to reporters outside the courtroom. His attorney had asked that Clark's presence be waived, but the commissioner ordered the defendant to appear. If convicted as charged, Clark faces life in prison. Clark apparently has a history of erratic behavior. Last month, he was placed on a psychiatric hold. Volunteer Fire Chief Mike Milligan, who also has a cabin in the area, says every resident in the canyon is afraid of him. "They took me away last time for no [expletive] reason, I told them that I'd been vandalized," Clark said as the fire burned around him.